To preserve our patients’ wellbeing and prevent the need for more complex treatment in the future, Tampa Oral Surgeon Dr. Renato Aves frequently provides wisdom teeth extraction at our convenient Tampa or Lakeland, FL oral surgery practice. Contact us today to learn more about wisdom teeth or schedule a consultation with Dr. Aves. Why Do Wisdom Teeth Require Extraction? Between ages 17 and 25, most people’s third molars, or wisdom teeth, begin to erupt through the gums. People typically have four of these teeth, although some may have none and others may have five or more. Wisdom teeth are relics of human history, left over from a time when man had a larger jaw and needed more molars to account for tooth loss. In modern times, however, wisdom teeth often create numerous oral health issues. Crowding, malocclusion (misaligned bite), and other orthodontic problems. Traumatic damage to surrounding bones and teeth. Cyst (liquid or pus filled growth) development around the affected molars. Gum tissue damage. Impacted wisdom teeth often cause flaps of tissue to form around them. These can be uncomfortable and may harbor harmful bacteria. Periodontal (gum) disease, which could allow toxins to deteriorate surrounding tissues and, in some cases, lead to systemic infection. Even if your jaw has sufficient room to accommodate your wisdom teeth and they appear to be erupting at a straight angle, Dr. Aves may recommend extraction. Given their location in the back four corners of the mouth, third molars are notoriously difficult to brush and floss, making them much more susceptible to decay, gum disease, and other dental issues. Dr. Aves typically advises young adults to have their wisdom teeth extracted before they become problematic and interfere with school, work, or daily life. Who is a Candidate of Wisdom Teeth Extraction? Dr. Aves determines that your wisdom teeth are impacted (often by taking a digital x-ray). You are in good general health, able to undergo anesthesia and heal properly from this procedure. We typically recommend that patients undergo wisdom tooth removal before age 25 since this usually allows them to heal more successfully and quickly. Dr. Aves can examine your mouth, run diagnostic tests, review your dental record, and discuss your concerns with you to determine if you are eligible for wisdom tooth extraction. The surgical technique Dr. Aves uses to remove your wisdom teeth depends on their condition. If your third molars are completely erupted, he may perform a simple extraction, using forceps to loosen and lift your tooth out of your jaw. However, if your wisdom teeth are impacted, not fully erupted, or otherwise damaged, Dr. Aves may need to provide a surgical extraction. During this more involved procedure, he will make an incision into your gums, break apart your teeth as necessary, and remove them from the jaw. Simple extractions may require just local anesthesia, but we often recommend sedation for the surgical technique. During the day of and after your procedure, you will need to get plenty of rest and eat only soft foods, avoiding sucking through a straw or putting undue pressure on your tissue. Swelling should reduce within a few days. Three to five days after your procedure, you should be able to return to normal activity. Most patients heal completely within two weeks. Are You Concerned About Your Wisdom Teeth? If you’re suffering from uncomfortable wisdom tooth symptoms or wish to have yours preemptively extracted, Dr. Aves can help. 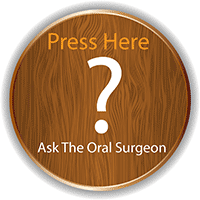 To learn more about the procedure or find out if it may be appropriate for you, contact the Tampa Bay Institute of Oral Surgery and Dental Implants today. To learn more about wisdom teeth extraction, read this article.